Listen and learn, just as you would at a traditional CLE program, using nothing more than your landline or mobile telephone. 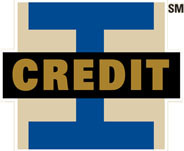 Many offering include ethics credit. ALL Virginia CLE® telephone seminars (including replays) qualify for live-interactive MCLE credit toward the Bar's 4-hour requirement for Virginia attorneys. Learn more. What are the requirements for a telephone seminar? Telephone seminars can be attended from any location in the continental United States where there is a touch-tone phone. In addition, telephone seminar registrants need an e-mail address and Internet access to receive dial-in instructions. A link to download seminar written materials in PDF format will also be included in the instruction e-mail. Download Adobe® Reader® here. What does my paid registration entitle me to? Submit one application for MCLE credits. Others desiring MCLE credit must register separately and pay the registration fee. Make copies of the written materials for anyone else who is listening. To register online, simply choose your registration options on the seminar's product page. You may also register via mail or fax by downloading a registration form or call (800) 979-8253 to register by phone. Online registration ends at 11:59 p.m. the day preceding the seminar. Call (800) 979-8253 to register up to one hour prior to the seminar. Cancellation/transfer requests will be honored through 5:00 p.m. the day preceding the seminar. Registrants should add "@vacle.org" to their allowable e-mail list or their SPAM filter so they can receive an e-mail with a link to the written materials and instructions on how to call the telephone conferencing company prior to the program. Please note that private recording of this program is prohibited. Prior to the seminar, you will be sent an e-mail with instructions on how to access the seminar, as well as a link to the downloadable seminar materials. How do I report my MCLE Credits? The e-mail referenced above will also contain a link from which you can download the MCLE Certificate for the program. A code will be given at the end of the seminar which must be written on your MCLE form. MCLE Credit Caveat: The MCLE Board measures credits by the time you spend in attendance. If you enter a phone seminar late or leave it early, or both, you must reflect those adjustments accurately in the credits you report on your credit reporting form. Is there a Q&A Session? Yes. We have a live Q&A session at the end of every telephone seminar (even replays). For this reason, all Virginia CLE® telephone seminars carry live-interactive MCLE credit toward the Bar's 4-hour requirement. At the end of the program, you can push a number on your touch-tone phone and be placed in a queue for questions. When it is your turn, you enter the conference call in a mode that allows your questions to be heard by the speakers and the rest of the telephone audience. To be eligible for any refund or transfer credit, your cancellation/transfer request must be received by 5:00 p.m. the day preceding the seminar. If you do not cancel or transfer to another seminar in time, and you do not attend, you will receive no refund or transfer credit. You will be charged $40 if you cancel or transfer your registration to a different seminar after the link to the materials has been e-mailed by Virginia CLE®.